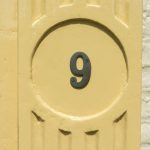 Where you born under Jupiter in house 9? Do you know what kind of impact it has on you and your life? Come and check it out. The natives of Jupiter in house 9 are usually very optimistic, fairly tolerant and respectful people. They also care about those who are around them and can be very patient, understanding, and supportive of what they believe. As the very intuitive people they are, they are always linked to common sense. It also comes naturally for those born under Jupiter in house 9 to have some familiarity with spiritual laws. Jupiter in house 9: what does this mean for you? Those ruled by Jupiter in House 9 are people who need to seek for a deep meaning of life and they always try to widen their horizons by learning about laws, rules and prayers. Besides being great guides, they are people who usually give good examples for others to follow. The natives of Jupiter in house 9, as they seek for deeper and wider knowledge of the world, they are also love to learn about different ideas and different views of the world. This makes them to easily connect with other cultures, languages and nationalities. They are hungry to learn all there is to know, so that they can share it with others. As they are open-minded and appreciate new and different cultures, good luck seems to follow them everywhere. The natives of Jupiter in house 9 should know that in this new cycle there will be so much work done without any recognition. But this should not be a reason to make you quit. Keep up with what you have planned for, keeping in mind where you want to get and what you want to achieve. Remember that this depends on you only. And why would you need and audience for, right? Bottom line is that you achieve your goals and if you do it away from the spotlights, better. It will not attract bad energies and envy towards yourself. So, remember, the most you achieve and keep to yourself the better. Keep also your beliefs, your dreams, your deepest thoughts and your desires to yourself. The less you show about the things that are important to you, the fewer people you will drain your energy or envy your success. Also keep your focus on what you want to accomplish and seek more balance and harmony in your relationships, so that you don’t get frustrated at yourself or others with possible disappointments and offenses. As you are very curious, you should use this to keep broaden your knowledge and relationships, helping other people who need good examples. Also, do not forget to keep good links with people who love you and get away from toxic people, those who carry bad energies all the time and drain out all your good vibes, your faith and prosperity. The ideal is to always be connected to yourself and connected with all things that strengthens you, stay on your own vibration. Protect yourself.